For 38 Years A-Appliance Xperts Inc. has been helping out businesses throughout the area with all of their commercial washer/dryer repair problems. Whether you are a laundromat owner or a hotel manager a broken commercial washer/dryer unit can slow your business down. Since there are different parts for your commercial washer/dryer unit from your residential washer/dryer unit please don’t try and repair the unit yourself. Trying to work from a “Do It Yourself” guide online can only exacerbate the problem and sometimes increase the damage to the machine. Trust a local commercial washer/dryer repair expert in the area in order to make sure that your unit is working properly in the future and will last longer than a repair which could break the machine further. Even though there are different mechanics between a commercial washer or dryer and a residential one the signs that your unit might be broken are the same. If you are experiencing any of these problems call AAX Repair today and allow us to work with you so that you can get your business up and running at optimal speed. Clothes aren’t drying: Sometimes the easiest spot to sign is the most obvious one. If your customers or staff is complaining that they are running their loads through several times before they get dry then this is a sign your unit might need to be repaired. Clunking or banging noises: If there is nothing in your commercial dryer that should be causing the problem then this is a sign that your commercial dryer might be in need of a repair. Your commercial dryer doesn’t turn on: If your unit refuses to start altogether this could be a sign of anything ranging from the thermal fuse to something more complex. Call AAX Repair and we can help get your commercial dryer unit starting again. Your unit starts and runs for a little and then abruptly stops: This might be a sign of your internal thermometer or temperature gauge being off. 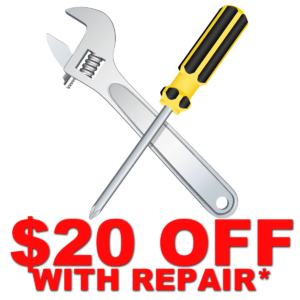 Call AAX Repair as soon as possible and we can come out and take a look. Your washing machine is not adding water: If you start your washing machine and there is no water filling the machine then we can help! Your washing machine makes weird noises: If your washing machine is making weird noises you have never heard before then we can help! 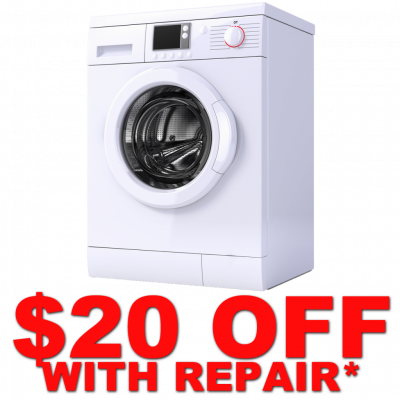 Investigate the washing machine early to avoid costly repairs in the future! Your washing machine is leaking: If you turn on your washing machine and see water pooling on the floor in front of the unit, we can help! Replacing a commercial washing machine and dryer can be expensive. Don’t subject yourself to a higher bill when repairing the unit can be much cheaper! Call AAX Repair today and let us take a look before you replace the unit!